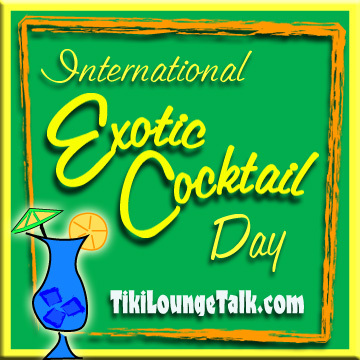 Have Fun At Tiki Oasis 11, August 18-21! 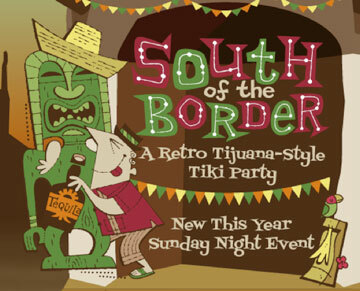 Next weekend the largest and longest running Tiki party in the 48 states kicks off with a Latin twist…This year, the theme is South of the Boarder, A Retro-Tijuana Style Tiki Party! Ok, many of you are saying, “huh? What the hell does Mexico have to do with Tiki?” Well, the swell kats and kittens at Tiki-O have figured out a way to make it work. After all, the event is held in San Diego…which was once part of Mexico. Throw in some tequila next to the rum, some Los Straitjackets next to King Kukulele and you’ve got a swingin’ Mexi-Tiki event. There will be all the usual kool stuff: A Tiki marketplace, including the art of Doug Horne, Fez-o-Rama, and South Florida artist DeTiki, an art show, pin-up contest, kids events, live Tiki carvings and a costume contest…plus a kickin’ car show with vintage, customs & rods on Saturday. Now, living 3000+ miles away and having blown all my bread on The Hukilau, yours truly won’t be attending Tiki-O this year. 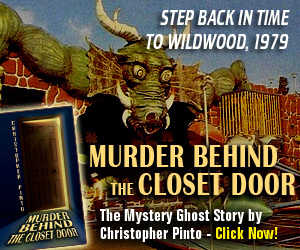 But if you’re in the are or you’ve got the lettuce, make sure you swing down to the Crowne Plaza in S.D. CA for Tiki Oasis! 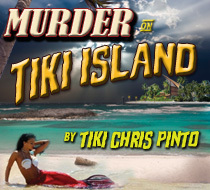 Visit the official website for schedule and tickets at www.tikioasis.com/2011.